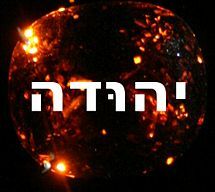 David (Hebrew: דוד, Dāvīḏ; Greek: Δαυίδ, Dāuid; Latin: David; Arabic: داوود, Dāwūd; "Name means::beloved") (1085 BC–r. 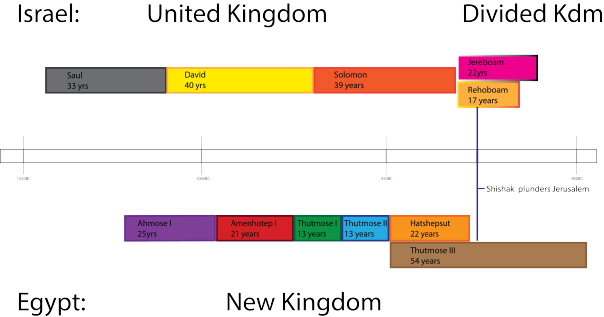 1055 BC-1015 BC), was the second King of the United Kingdom of Israel. King David was born in Bethlehem, about 1085 BC (1040 BC according to Edwin R. Thiele), and he was a part of the tribe of Judah (and king of that tribe only for seven and one-half years). He became king of all Israel in about 1048 BC, and reigned successfully until about 1015 BC. The name "David" means "beloved one", or "lover of God". David grew up as a shepherd boy, keeping after his father's (Son of::Jesse) flock of sheep. He was the youngest of eight brothers, and had to learn to fight with a sling, in order to fend off the predators that would attack the sheep. He knew the Lord all his life, and walked very close with him, despite some major downfalls. Every time a predator attacked his flock, David would call upon the Lord that He would give him good aim, and a steady shot with his sling. He always prevailed. He was successful as a poet, creating most of the Psalms we know today. He frequently mourned in his psalms, calling on God to forgive him for all his sins. All in all, David was a righteous man who was very close with God, and had a successful life to show for it. 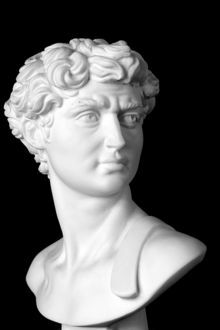 The major accomplishment that led to David, who was around 5 foot 5 inches most likely, being in the king's position was his defeat, in 1067 BC, of the 6 foot 9 inch Philistine named Goliath. When David was just a boy, he was sent to the battlefield to give food to his brothers. (1_Samuel 17:20-58 ). When David arrived in the camp at Elath, he heard Goliath's boastful challenge to the Israelites. At once he inquired of nearly every nearby bystander what reward King Successor of::Saul would give for Goliath's defeat. David's brothers upbraided him for being presumptuous, but David dismissed the criticism by asserting that he was asking a valid question. 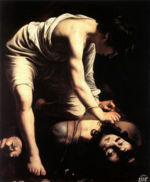 Saul heard about David's inquiries and sent for him. David assured Saul that he could kill Goliath easily, and recounted how he had killed wild animals that had tried to poach his father's sheep. Saul offered David a full suit of armor, but David declined to wear it, because of his inexperience with it. He went on to meet Goliath carrying nothing but a slingshot and some stones that he picked up from a nearby brook. This weapon was more than sufficient. He killed Goliath, the Philistines broke and ran, and David began developing a reputation for himself. While David was out battling a tribe called the Amalekites, Saul and Jonathan were killed on Mt. Gilboa in a fight with the Philistines, and David finally became king of Israel. He had many accomplishments as king, as well as many downfalls, and he ruled as King of Israel for forty years, until he became too old to rule, and appointed his son, Father of::Succeeded by::Solomon, as king. David died at age 70, and was buried at the City of David. James Ussher reckoned the beginning of David's reign at 1055 BC, while Edwin R. Thiele reckoned it at 1010 BC. The forty-five-year difference results from differing interpretations of events in the history of Israel that occurred long after King David had died. Except where noted, the dates in this article come from Ussher; to obtain the more commonly used Thiele dates, subtract 45 years from any BC date from Ussher. This page was last modified on 14 January 2015, at 00:25.